Chronological Index to downed aircraft for 15 Oct. 1944. Identifies incident crash or death, location, type of aircraft and down aircraft report designation. (Not all reports have been translated). Often, as genealogist or family historians we search through the NARA records looking for any hint of an ancestor, with a certain amount of confidence that the record has to exist. The key to our success may be in our knowledge of the subject. Recently, in search for “downed USA plane” information I had to rely on my rusty German to locate reports concerning captured Allies during World War II, but even then, I had difficulty connecting a few key words: Luftgau, KU Reports and MACR. Well, as it turns out KU Reports, shorten for Kampfflugzeuge USA Reports, as it was labeled by the Germans, was exactly what I was looking for. The USA Kampfflugzeuge, combat aircraft, reports were prepared in Luftgau (German administrative offices) referencing Allied downed aircraft over German-occupied Europe (and their interest) primarily for US aircraft flying from the UK. The NARA houses about 7000 of these original German textural documents in Record Group (RG) 242. Probably over half of the original reports were destroyed by the end of the war, so, there is not a complete collection of the German reports. According to the NARA index, the earliest KU report held at the repository is dated for an incident on 12 Aug 1943. These WWII reports end in 1945. Of course there are other Luftgau records in the Luftgaukommando, German prisoner of war files. For genealogists and family historians, these KU Reports may be used to locate the crash cause, its time and location, burial data or POW information. 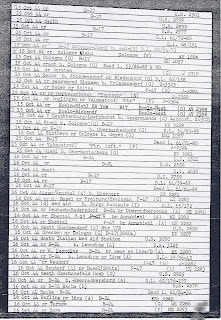 Although the RG242 Luftgaukommando Records Relating to Captured Allied Personnel reports have not been microfilmed, RG92, MACRs or Missing Air Crew Reports compiled by the U.S. Army Air Forces from 1942-1947, are on microfiche publication M1380 and may also be found on Footnote.com. For genealogists and family historians, the MACRs holds military personnel information, the time the aircraft was lost, and emergency contact information for the victim. Usually an Individual Casualty Questionnaire completed by a witness and or surviving crew member is also included. Here you may also find a copy of the original German KU report, again only some are translated.